No city is more exciting at holiday time! There's no place like it at holiday time. New York City is always exhilarating, but during the Christmas season the city dons its festive finery. Excitement abounds. There is quickness in every step. The feeling of Christmas is in the air, and there is much to see and do, but certain traditional activities personify Christmas time in New York City. The season's unofficial opening event is the world-renowned Macy's Thanksgiving Day Parade, which this year takes place on November 26th. The excitement starts the night before when hundreds gather at Central Park West. Each year, since 1924, more than a million people line the parade route along Broadway to catch sight of their favorite cartoon character balloons-Spiderman, Snoopy, Betty Bop, Superman, Cat in the Hat, and Bull winkle-, all carefully controlled by an army of skilled volunteers. Along with the balloons there are award-winning marching bands from all over the United States, and elaborate floats topped with celebrities from stage, screen, and television. At the end of the two-hour parade, eagerly awaited by the young and the young at heart, is that jolly fellow, Santa Claus. With his characteristic wave, he ushers in a new Christmas season. 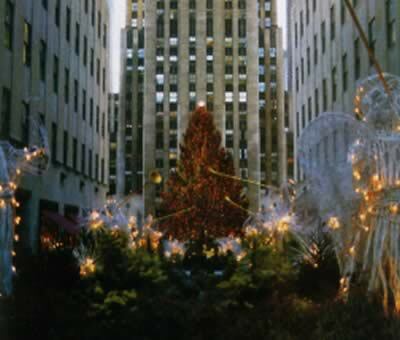 However, and since the 1920s, the official start of the Christmas season is the lighting of the 21 meter high tree in Rockefeller Center. 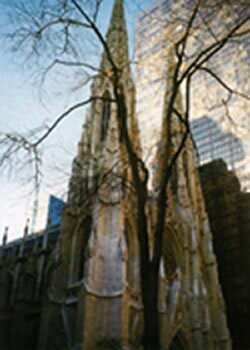 This year,on Wednesday, December 2, 1998, with a flick of a switch, New York's Mayor Rudolph Giuliani will bring to life all 20,000 lights on the city's official Christmas tree, accompanied by music, caroling, and figure skating. With its decorations of ethereal, trumpeting angels, Rockefeller Center is a good place to start exploring the "Big Apple." Universally acclaimed as an architectural triumph, Radio City Music Hall is one of the entertainment world's most appealing and exciting venues. The 65th anniversary edition of the Christmas Spectacular-attended by over one million people every year- will run from November 5, 1998, to January 3, 1999. Radio City's entertainment extravaganza featuring the world-famous Rockettes, includes the traditional living Nativity Pageant with live donkeys, camels, and sheep. Over at Lincoln Center audiences enjoy the Nutcracker Ballet in the New York State Theater. This hugely popular ballet is Tchaikovsky's Christmas gift to us all, and one of New York's holiday season traditions. For those so caught up in the Christmas spirit that they feel compelled to raise their voice in song, New York City has an once-in-a-lifetime experience - singing the Messiah with three thousand others at Lincoln Center. Every year at the Avery Fisher Hall, led by 21 guest conductors, the entire audience joins in singing Handel's Messiah. Bring your own music or buy it in the lobby, no experience is necessary. The result is loud, enthusiastic, thrilling, and joyful. Shopping and New York are synonymous. Here, there is something for everyone and every budget. Window-shopping is free and what a marvel it is! 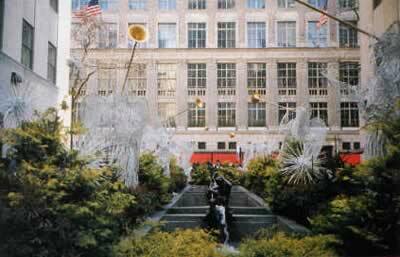 The displays, especially along 5th Avenue, are magical creations, vignettes of Christmas past and Christmas fantasies. 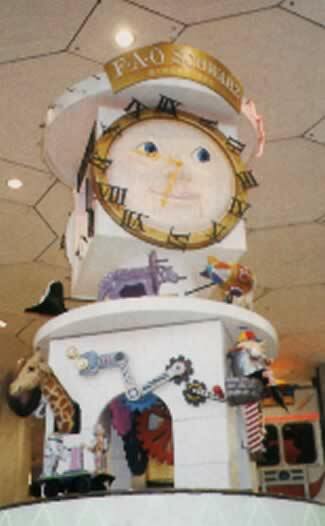 The renowned, quintessential store, Macy's, at 34th and Broadway, has something for everyone in all price categories. The fifth floor is a spectacular wonderland with Santa Claus in residence and toys galore. Toy shopping at the world famous F.A.O. Schwarz will dazzle the hearts and imaginations of children of all ages, and tickle the child within all of us. Tiffany's is where wishes are made and dreams do come true. Much at Tiffany's is extremely expensive; however, there are a few affordable gifts, such as robin-egg blue playing cards with the Tiffany logo. The season that starts with a massive crowd spread over many blocks to see the parade ends with over a quarter of a million people, yelling and screaming, crammed into Times Square. A tradition since 1907, the event is now broadcast to more than 500 million people around the world. At 11:59, the huge aluminum ball studded with hundreds of lights and rhinestones is lowered down a 77- foot flagpole to reach its destination at exactly 12:00 midnight, lighting the numerals that will announce the New Year-1999. At every store, in every church, at every turn, and in the most unlikely places, people have put their own special touch on the Christmas season. The best part of Christmas in New York may be discovering your very own special Christmas magic. It may be a quiet moment gazing on the nativity scene at St. Patrick's Cathedral, or at one of the many other churches, or the look on the face of a little girl telling Santa what she wants for Christmas. All of the museums have special displays at holiday time. At The Cloister, part of the Metropolitan Museum of Art, the arched doorways of the main hall are adorned with ivy, nuts, and apples as part of their fanciful medieval-style decorations. After dark, take a ride on the Staten Island Ferry for an unparalleled view of New York City. The glimmering city lights reflect in the velvet black of the river. 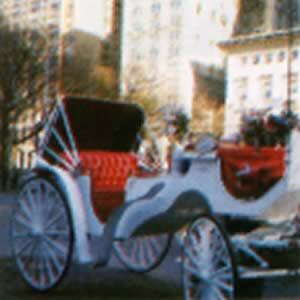 Or, in the late evening, when the city is quiet, and fluffy snowflakes dance in the air, a carriage ride through the deserted streets is magical. Christmas time is when New York City is at its best. Holidays are songs in the air. The smell of roasting chestnuts from the street corner vendor and the tinkle of the bell of Sidewalk Santa will put you in the Christmas spirit. No city is more exciting at holiday time than New York City.